Fiona started her higher education as a mature student. This led to working in the local authority with children and families in the Youth offending team and then with the Education Welfare Service. Fiona always had an interest in education and went on to work in Further Education as a Safeguarding Lead. During her time in Further Education she went on to study for her Post Graduate Certificate in Education and began teaching on a part time basis delivering staff training and undergraduate modules in Safeguarding. When Children's Centres became a Statutory service in 2008, Fiona was drawn to the service and set up and managed children's centres for a number of years as well as working as a local authority officer developing services for children and families. 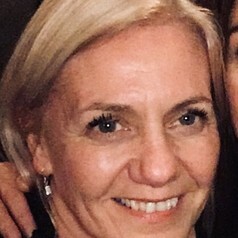 During this time she studied for a post graduate professional qualification in centre leadership (NPQICL)as well as an MA in Practitioner research which led to further teaching as a visiting lecturer using her practice and policy knowledge to teach students studying on Foundation degrees and working with children and families.